The Kingdom of Morocco is currently the largest U.S. weapons buyer in the 53-country region covered by U.S. Africa Command (AFRICOM). U.S. assistance to Morocco enhances its capacity to promote security and prevent acts of terrorism, and its ability to meet current and future threats. The support has had a positive impact beyond Morocco, in both the Middle East and Africa. Morocco is emerging as a major partner for regional stabilization efforts and fighting terrorism, which furthers U.S. security. Scott Huther, AFRICOM regional operations division chief at the U.S. Army Security Assistance Command (USASAC), said the Kingdom of Morocco recently requested 222 M1A1 Abrams tanks in an upgrade to its tank fleet that began in 2016. The transfer of the Abrams tanks progressed rapidly, with the scheduled delivery to the Royal Armed Forces completed in August. This significant sale has assisted Morocco with building its capacity. DOD provided the vehicles through the Excess Defense Articles program, where excess equipment is offered at reduced or no cost to eligible foreign recipients on an “as is, where is” basis in support of U.S. national security and foreign policy objectives. The U.S. Army’s top priorities include readiness to deploy, fight and win, and to modernize and evolve to build greater capabilities and capacities. However, the U.S. military cannot both engage in multiple conflicts around the world and modernize the force without enhancing the strength of partner nations. So, also included in the top Army priorities is enhancing the professional relationships, training and overall coordination with our allies and partners. While multinational exercises are one way to do this, the initial building blocks that allow the U.S. to develop relationships with allies and partners are security cooperation and assistance. The security cooperation and assistance mission is a vital foreign policy tool, and sales of military equipment are part of it. USASAC, headquartered at Redstone Arsenal, Alabama, manages and implements the Army’s security assistance programs and foreign military sales for more than 150 countries. Foreign military sales have a fundamental value to Army readiness and to the military’s interoperability with international partners. This is particularly important in the AFRICOM region, where supporting relationships is key to addressing the significant terrorist threats in the area. According to Amy Weichel, chief of the Morocco Program Office for Main Battle Tank Systems at the Program Executive Office for Ground Combat Systems, the initial vehicles underwent a complete overhaul and were rebuilt at the Anniston Army Depot, Alabama. Anniston was responsible for the teardown and rebuild of the tanks, including all the components except turret armor. General Dynamics Land Systems installed the exportable turret armor at the Joint Systems Manufacturing Center in Lima, Ohio. Using this production process, which results in like-new vehicles, another 72 vehicles were produced. 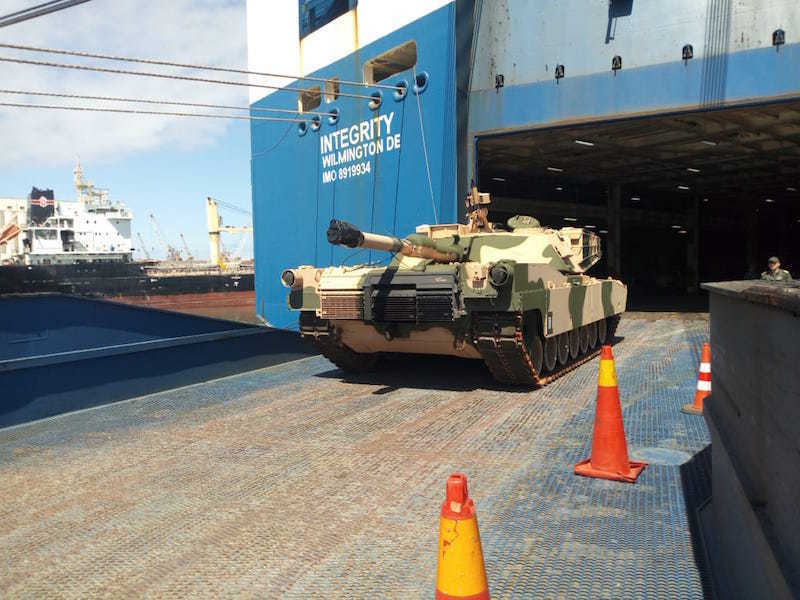 Anniston and General Dynamics overhauled an additional 150 tanks through the Abrams integrated management process. This is a partnership between the two entities; Anniston does the teardown, General Dynamics does the reassembly. The rebuild of a used M1A1 tank with this process enables the installation of modifications and emerging technologies. The purchase was beneficial in employing U.S. personnel at the Joint Systems Manufacturing Center during the early production. Along with large systems, other necessary tools provided through foreign military sales include radios, training ammunition, spare parts, tools, training aids and simulators. Personnel training is also part of the program, which allows the Army to train partners on the equipment as well as to develop leaders in partner nations. “This is all part of the total-package approach, which ensures the capability is not only developed but sustained,” Huther said. USASAC is the lead for the security assistance enterprise of U.S. Army Materiel Command, which is USASAC’s headquarters. Through the support of Army Materiel Command entities such as the industrial base and its life cycle management commands, USASAC is able to assist partners with their readiness, whether it be through new or excess material and equipment, or sustainment.